This article provides an Uncommon collection of American Flag images, pics and pictures. The American flag images represent the most famous and easily recognised of all the symbols of the United States of America. The nicknames for the American flag include the Stars and Stripes, Old Glory, the Red, White and Blue and the Star Spangled Banner. 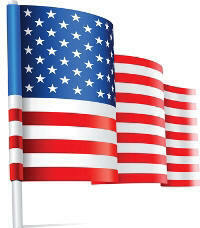 This unique selection of American Flag images provide a great selection for kids to use at school or for homework. 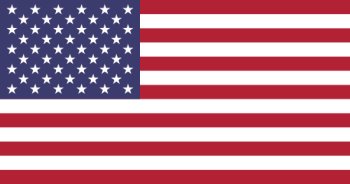 There are American flag images of the oldest and first flags, vertical pictures and Uncommon shapes and designs. 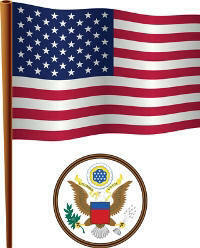 We have also provided access to pictures and images of the individual flags of all 50 states. Click on for the images of the individual state flags for access to interesting facts and information about each of the flags together with big pictures of each of the American state flags. These pictures and images of American flags that are vertical in shape are quite Uncommon. The first picture shows the correct way that the banner should be hung. The central furled picture shows a flagpole that is is topped by an eagle, these decorations are referred to as finials and used to decorate the tops of flagpoles. These pictures of American flags that are have uncommon shapes and designs. The images and pictures feature crossed flags, a heart shape design and a flag with an inset of an eagle shadow. The images, pics and pictures of the Old American flags visually depict their important part in the history, design and development of the American flag. The first pictures show American flag images waving in the wind. The pictures of the Old, First American flags visually display their important part in the history, design and development of the American flag. The pictures feature depictions of the First Grand Union flag, the Hopkinson flag, the Betsy Ross flag and the Star Spangled Banner with fifteen Stars. Recommended reading: Star Spangled Stars History. Our Pictures and Images American State Flags are displayed in alphabetical order. Click on any of the American flag images for access to fats, interesting facts and information together with big images of each of the flags, details of the history and the flag ratios.